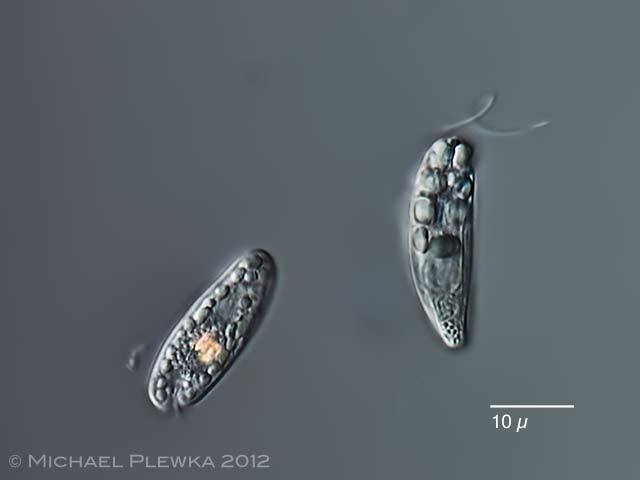 Rhabdomonas costata (right), compared to a Cryptomonad (left, Chilomonas sp.) with Maupas-bodies. 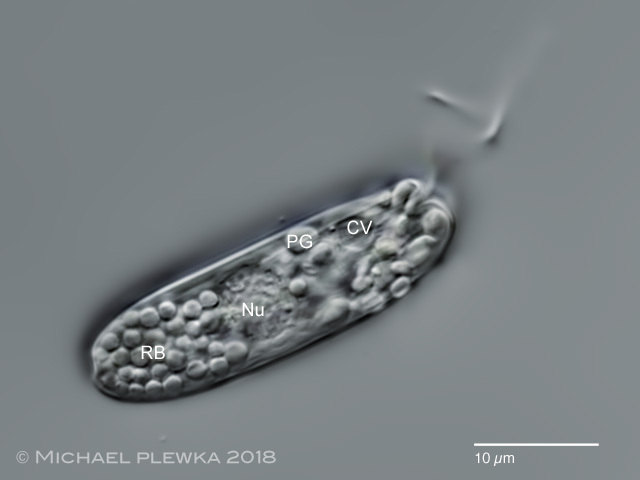 In contrast to, for example Entosiphon (which is phagotroph) organisms of the genus Rhabdomonas are primary osmotrophs (Aphagea) like Astasia and Distigma. 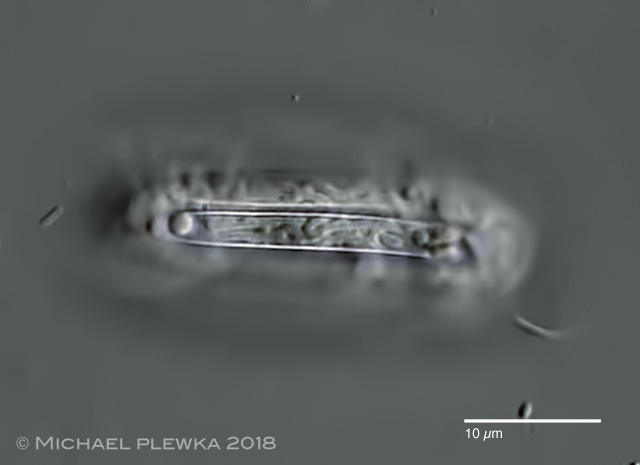 Rhabdomonas costata: two images of the same specimen, different focus planes. The triangles in the lower image point to one of the 6 "ribs" pf the pellicle. Rhabdomonas costata; pellicle with striae. 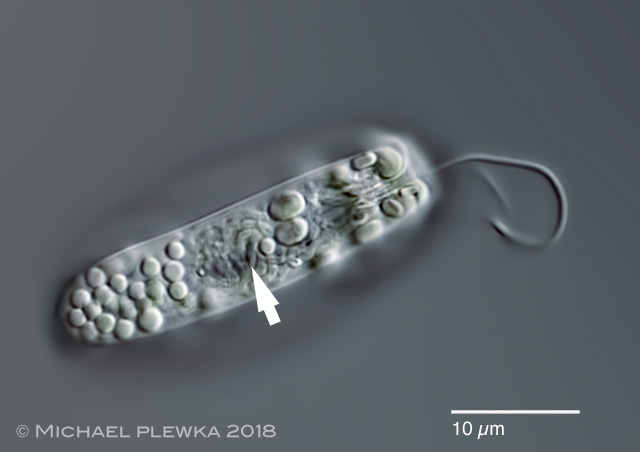 If the environmental conditions get bad Menoidium as well as Rhabdomonas shed their flagella. 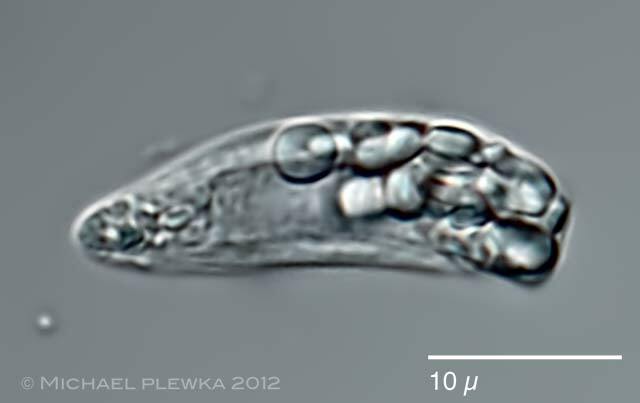 Rhabdomonas costata; another specimen from (2). RB: light refracting bodies; Nu: nucleus; PG: paramylon-grains; CV: contractile vacuole. 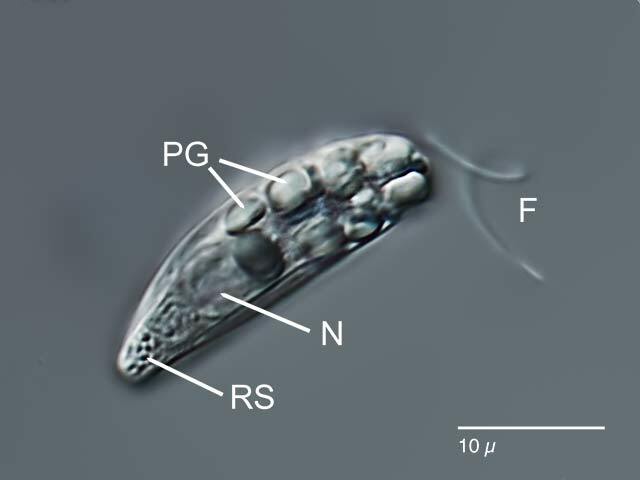 Rhabdomonas costata; same specimen as above, different focus plane. 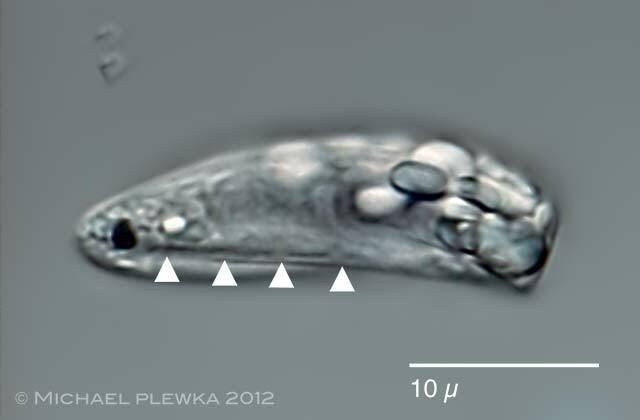 The arrow points to some worm-like structures which are probably mitochondria (2). 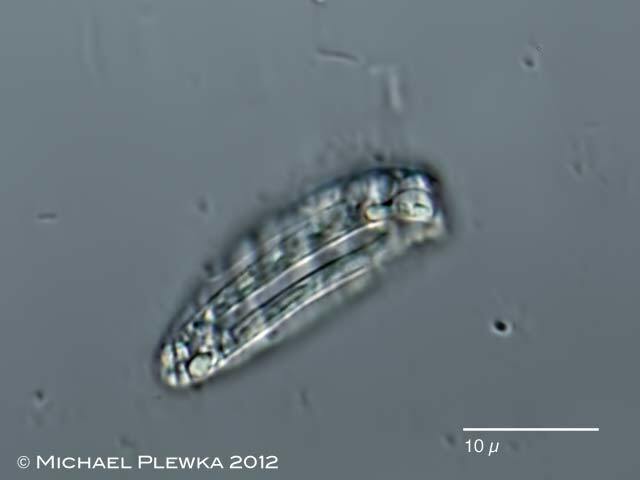 Rhabdomonas costata; same specimen as above, focus plane on one of the 6 ribs of the pellicle. Similar worm-like structures are visible .